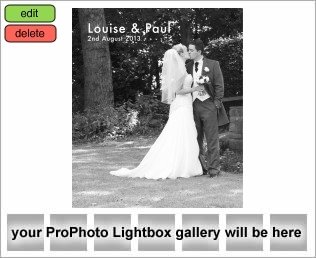 I’ve had the fantastic chance of finally delivering a Post-Christmas gift to Louise and Paul – their wedding album! After much to-ing and fro-ing, I’m now able to show you the finally album layout as chosen by Louise and Paul themselves. Hope you like the layout! System maintenance is scheduled for Friday, January 10th, between 09:00 and 13:00. Service to view your photos may be inaccessible or slow during that time. I apologise for any inconvenience. This is going to be a good year, I can feel it in my waters! For all my customers that haven’t ordered yet. The deadline is 21/12/2012 at 3pm. 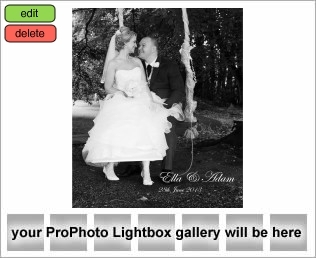 Please make sure you get your order in before then so that you can have your prints ready for Christmas. Let me know if you have any concerns. Ta! The proof section of the website will be undergoing scheduled system maintenance on Friday, November 9th, between 07:00 and 12:00 UTC. We will be performing system updates and releasing new features to the site. Service may be inaccessible or slow during that time; we apologise for any inconvenience. Just had the opportunity to watch a video on youtube showing someone’s proposal and it got me thinking. Have you ever done something like it?